Is it a chair? 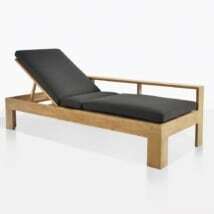 Is it a lounger? It is both. 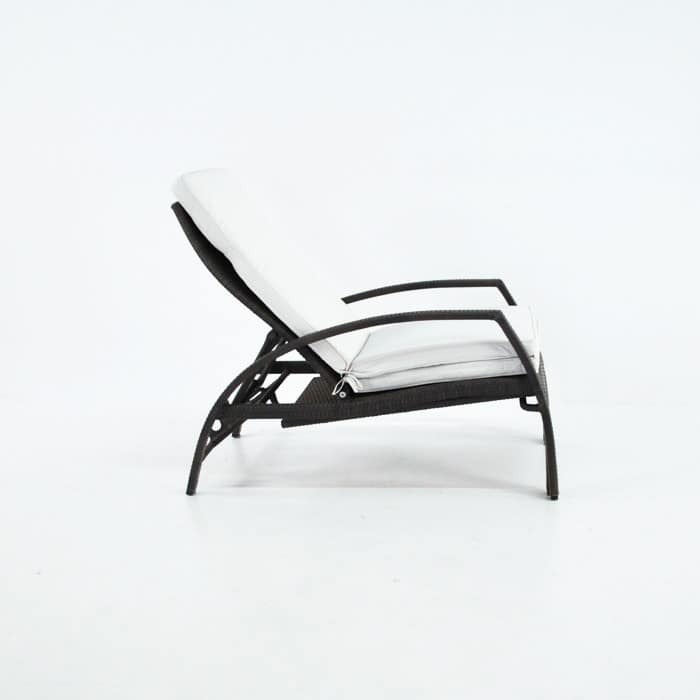 The Sam Adjustable Outdoor Sun Lounger is the most versatile sun lounger we’ve had yet! With a back that reclines from sitting upright to lying flat, and an ottoman that tucks completely into the underneath of the seat; the Sam Adjustable Sun Lounger is a chair and lounger, enabling you to cater to any space large or small, and customize depending on what you need! 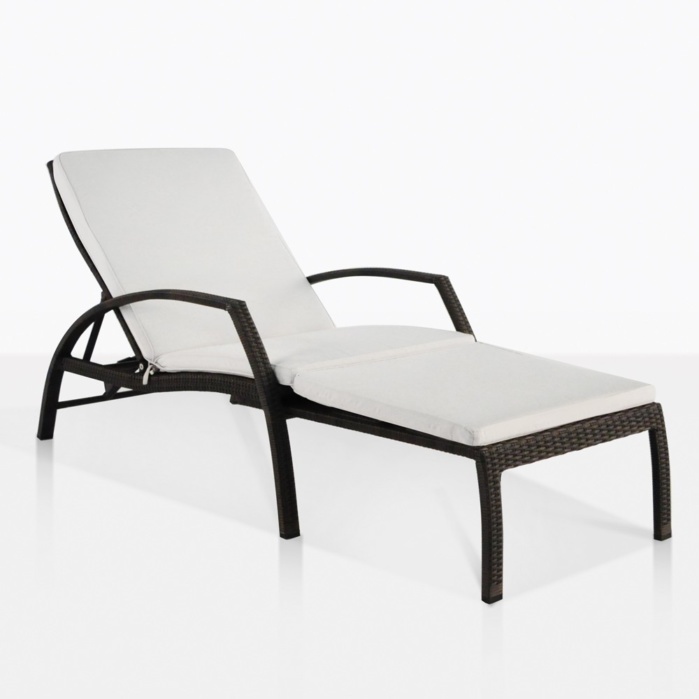 Place the Sam Adjustable Outdoor Sun Lounger on a modest patio. You’ll find its small footprint handy to add a bit of character to your space, while giving you the flexibility to sit or recline. 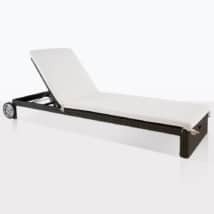 W28" x L81" x H38"
The Sam Adjustable Outdoor Sun Lounger takes subtle hints from mid century furniture, with the combination of curved and geometric shapes in a satisfying arrangement that you can take anywhere! Whether its in the garden, poolside, on the veranda or even in the trunk of your car for family trips away; the Sam Sun Lounger will provide comfort wherever you are! Line up several alongside your swimming pool, complete with some matching side tables, such as the Drum Wicker Side Table in Java, or the Rocco Outdoor Wicker Side Table to go along with the mid-century modern feel. 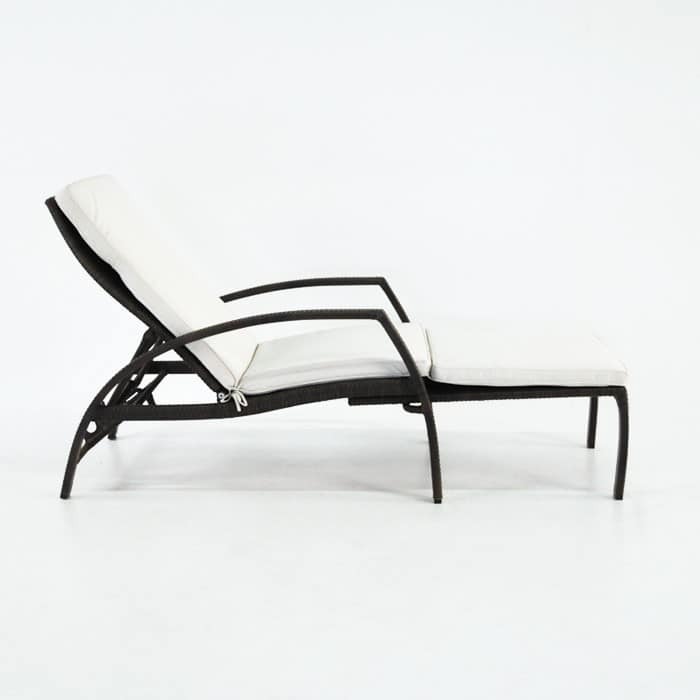 The Sam Adjustable Outdoor Sun Lounger is a wonderful piece of furniture for commercial use as well. Do you have a day spa or superb retreat? Give your guests the option to explore their comfort and relaxation process. Dress up and modernize the look with a Raw Concrete Square Stool in use as an accent table. The Sam Adjustable Outdoor Sun Lounger is constructed out of a solid powder coated aluminium frame, wrapped with award-winning Viro® wicker, a polyethylene synthetic wicker that is UV treated and through-dyed so you have stunning furniture that lasts for longer!